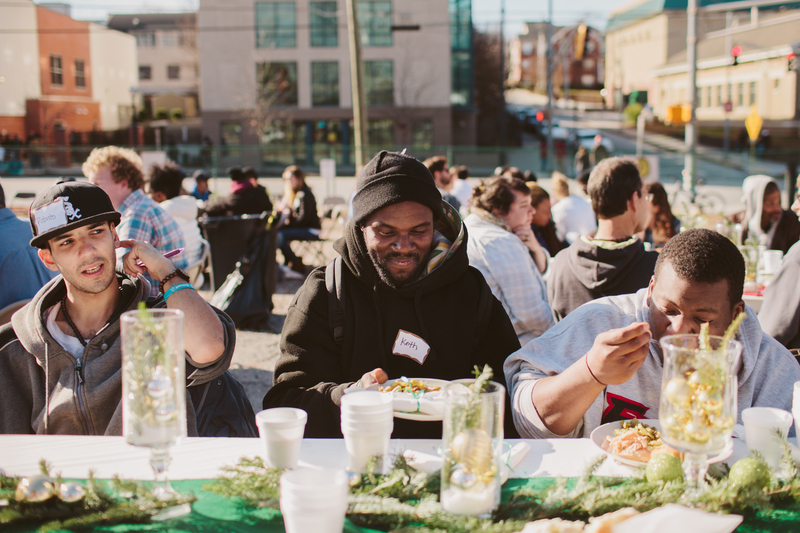 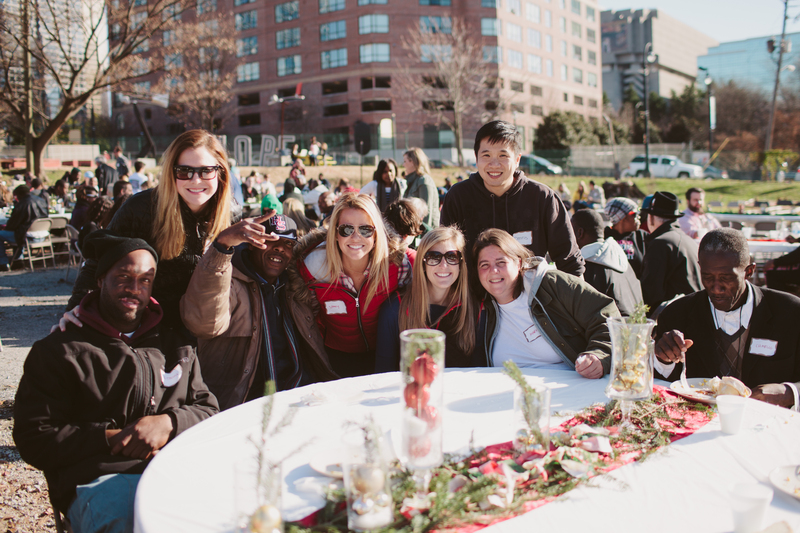 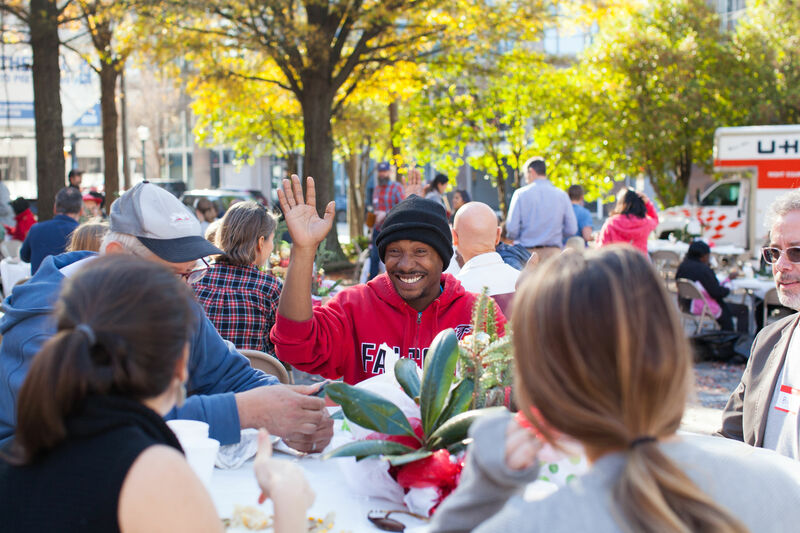 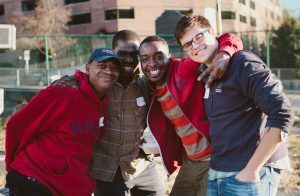 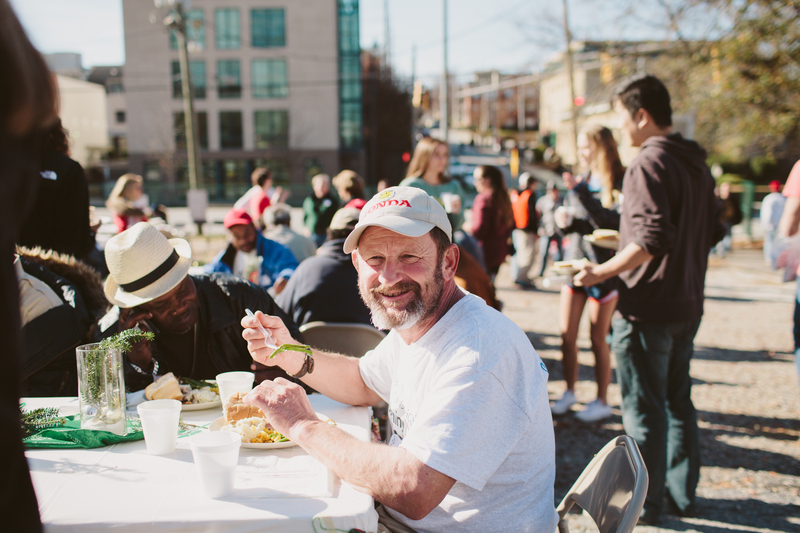 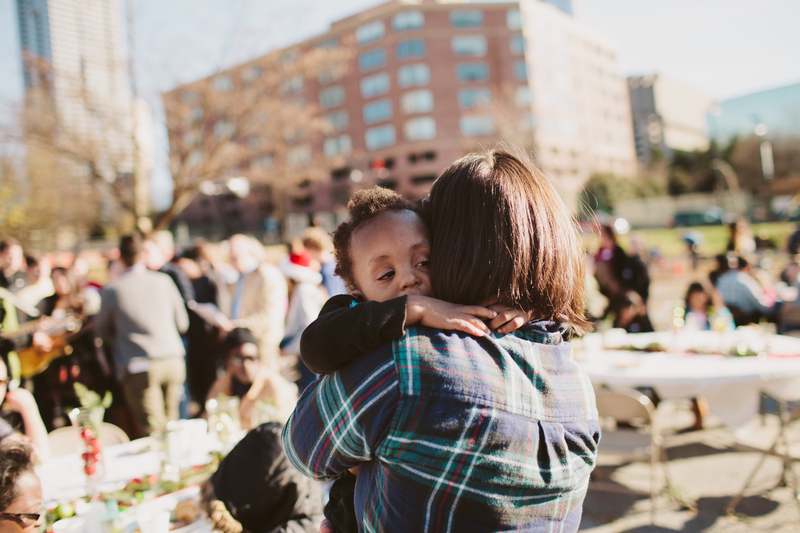 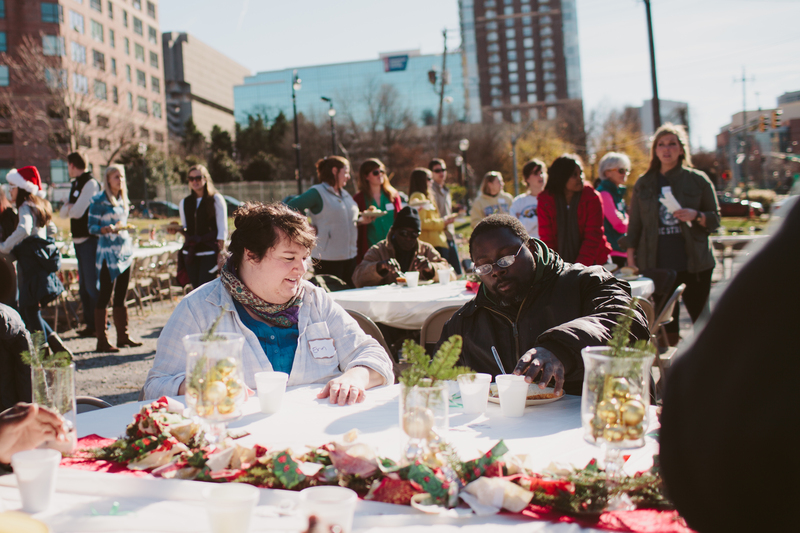 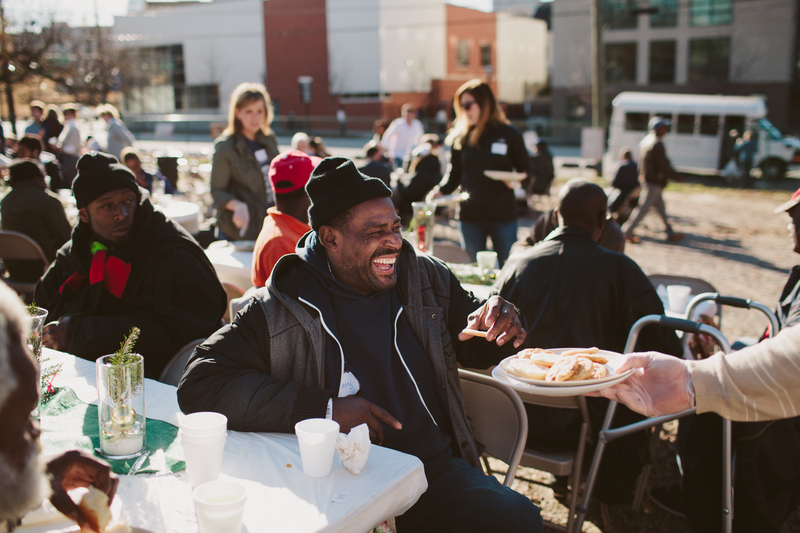 Our annual Christmas Dinner is a celebration of the Advent season and the culmination of another year spent sharing life together with men and women experiencing homelessness in Atlanta. 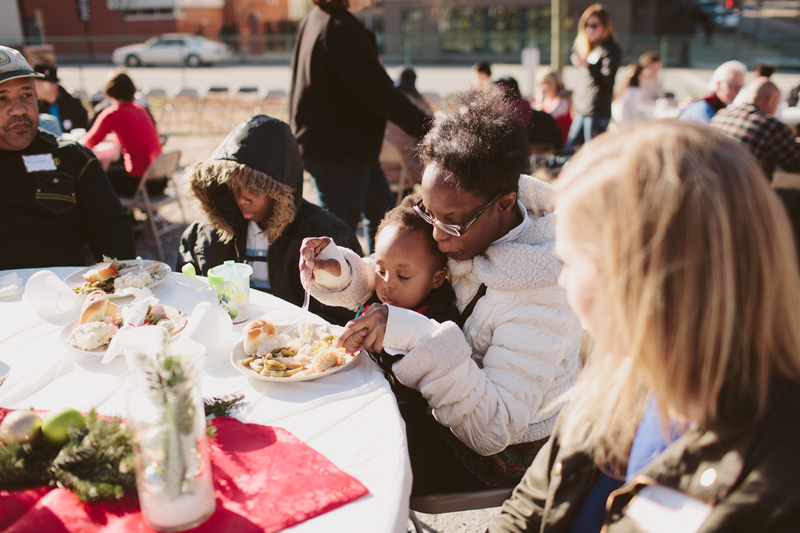 Since 2001, we have welcomed all at a candlelit feast complete with real plates, tablecloths, caroling, and loads of Christmas cheer. The 17th Annual Lazarus Christmas Dinner was another truly great event! 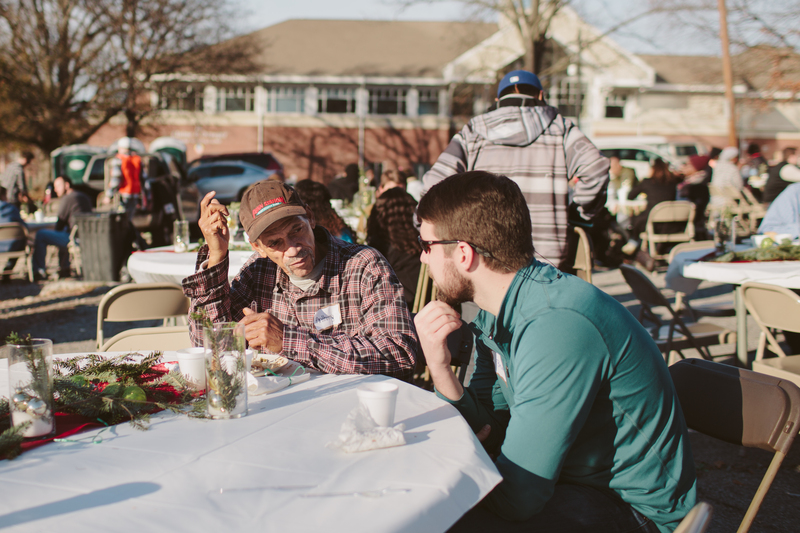 We celebrated the coming Christmas season and the culmination of another year spent developing kinship with our brothers and sisters experiencing homelessness. 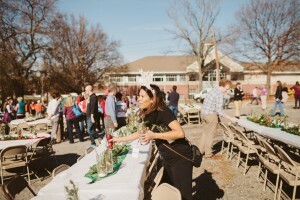 We had unbelievable weather, beautiful decorations, plenty of delicious food to go around, and loads of Christmas cheer. 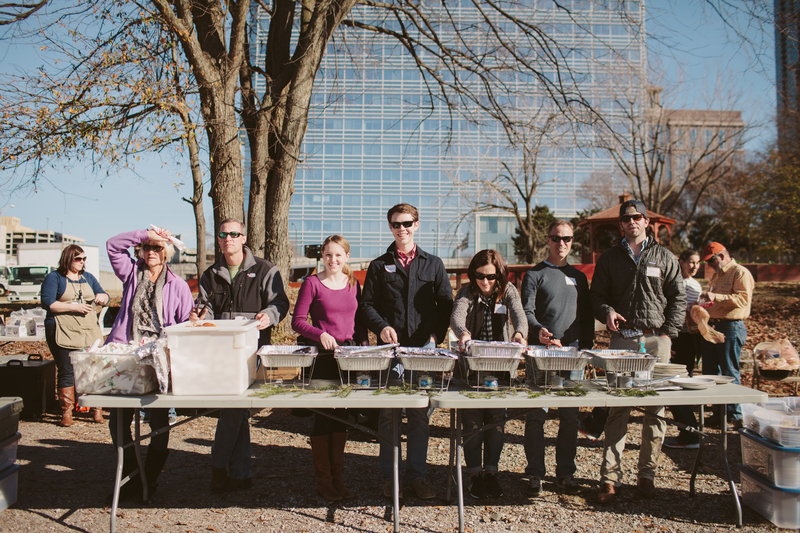 Thanks to our hosts at Atlanta First UMC and everyone that made the dinner happen! 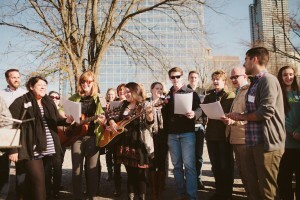 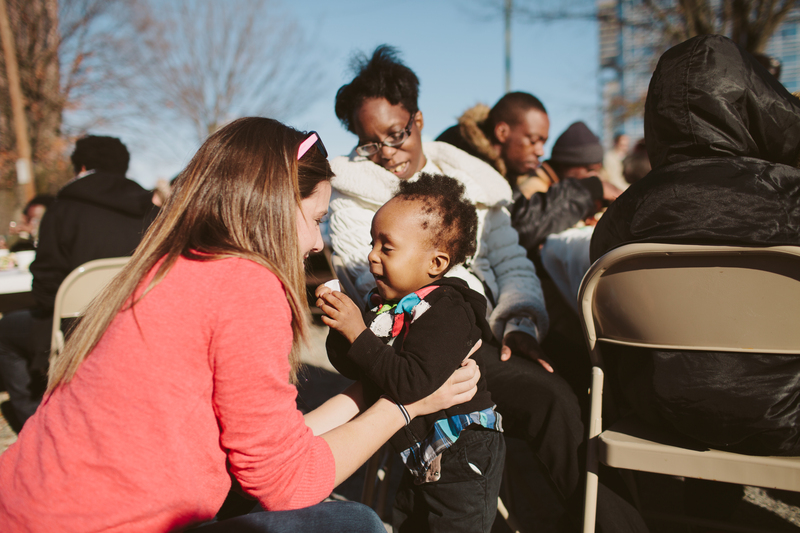 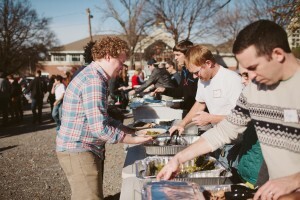 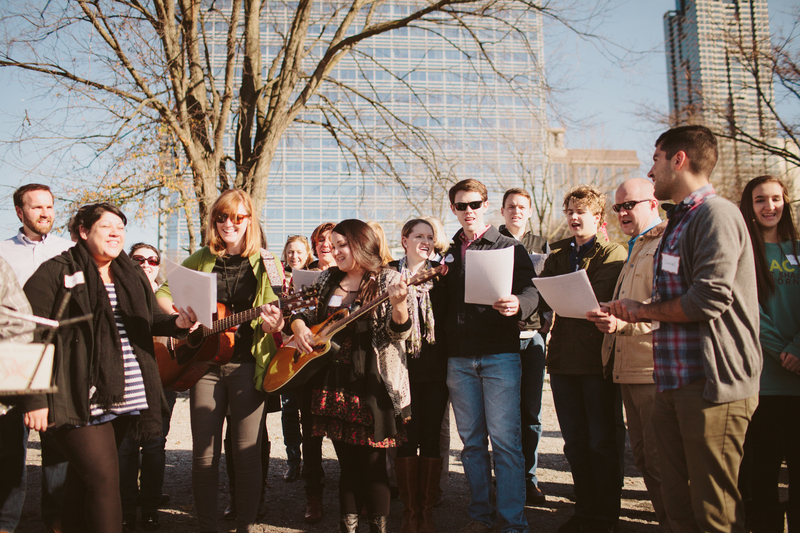 Click below to see some beautiful scenes from the event, courtesy of Sarah Harms Photography. 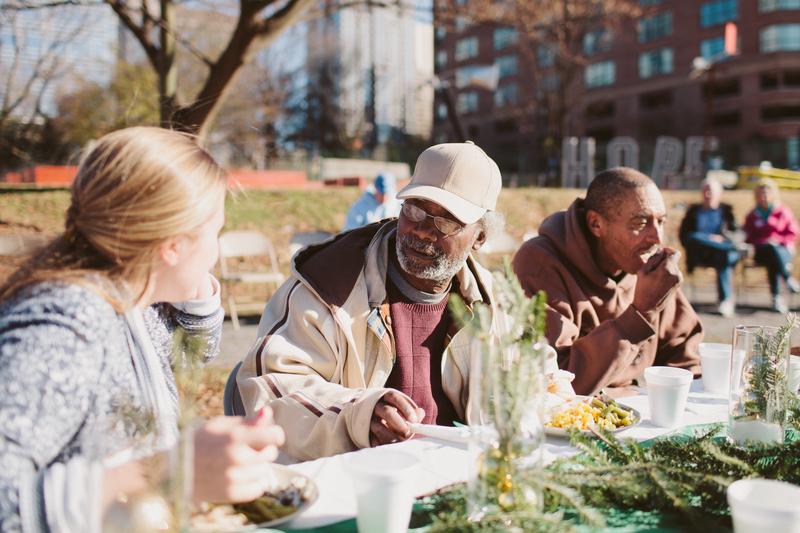 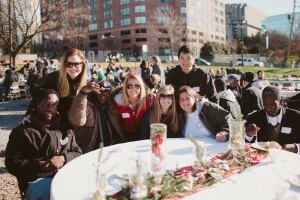 The focus is to celebrate Christmas with our friends living on the street and staying in nearby shelters. We do this sitting side-by-side and feasting together. We intentionally hold the dinner outside for the comfort of the chronically homeless that may feel uncomfortable coming indoors.